Rapid fire delivery of critical information between clinicians is commonplace in the ED, but most departments rarely plan and assess the effectiveness of their communication methods. 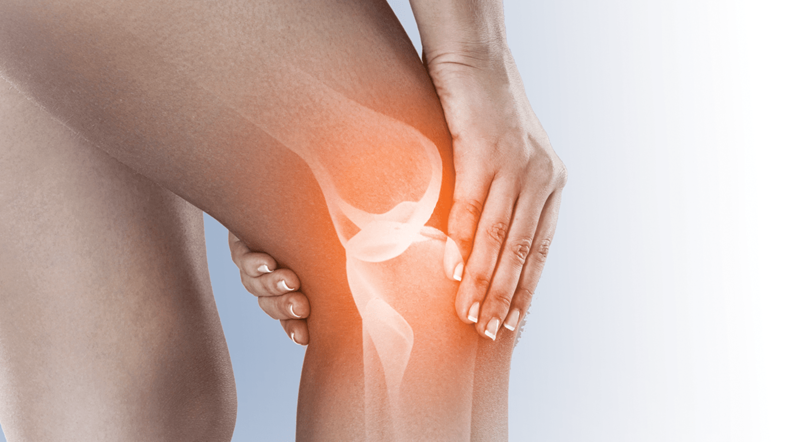 Research has indicated that more than half of all sentinel events—death or permanent injury due to treatment delays—occur in EDs, according to the Joint Commission. Analyses have shown that communication is the root cause for the majority of these events. “Few investigations have looked into how communication of information within the ED can be optimized,” says Shari Welch, MD, FACEP. In an effort to examine communication practices within the ED and assess strategies that may improve these efforts, the Emergency Department Benchmarking Alliance, which comprises 412 EDs in the United States, began to study its member’s communication strategies. 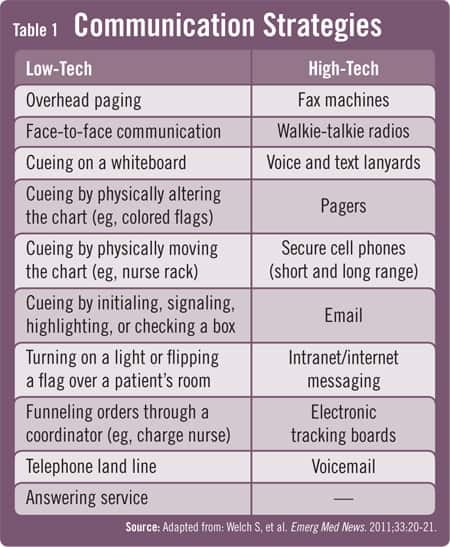 The initiative demonstrated that most EDs use a variety of low and high-tech methods for communication (Table 1). In the 1980s, the whiteboard was commonly used to display and convey information within the ED. Now, that trend has given way to computerized systems, according to Dr. Welch. “Physicians and nurses could circle something on a whiteboard to denote importance, but the tracking screens that are used frequently now do not give the same visual cues.” Many EDs have begun using overhead paging more frequently. However, in the average ED, according to the World Health Organization, the decibel level of noise is often too high, causing stress for both staff and patients. The communication patterns of nurses often differ from those of physicians. 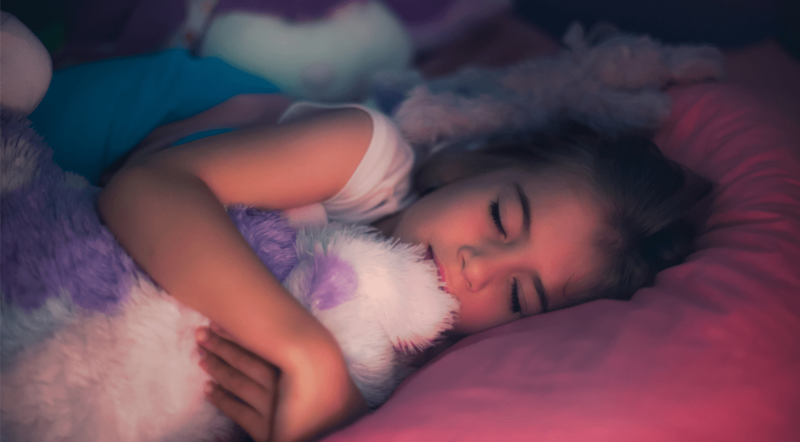 They tend to communicate mostly within the department and use room and bed numbers rather than patient names. Physicians, however, frequently make calls outside the walls of the ED and hospital to other physicians. These calls tend to include patient names and other protected health information. “When looking at improving communication strategies, it’s important that EDs factor this into the interventions that are created,” says Dr. Welch. When determining if ED communication is functioning optimally, Dr. Welch says it is important to look at strategies that minimize wasted movement (Table 2). “If staff members are trying to find patients or physicians and getting frustrated because they need to convey information, the resulting effect can be catastrophic. The efficacy of the department will suffer if communications are fractured. 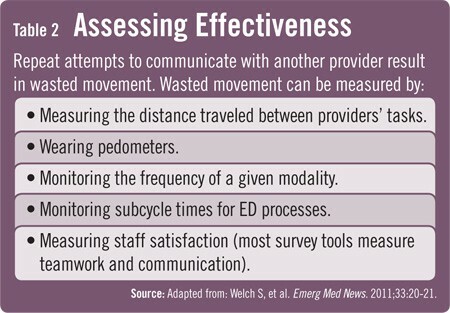 The morale of the ED is also likely to be lower, especially as frustrations set in more regularly.” To assess if movement is being wasted in EDs, Dr. Welch recommends that staff wear pedometers to measure how far they walk in a given period. Trialing new communications during these assessment periods will help determine wasted movements. ED leaders can then review with staff strategies that may minimize this waste. “You can survey staff and find out about their frustrations,” adds Dr. Welch. Devices that measure decibels are also available and may be of benefit to assess noise levels that can add stress. Welch S, Dickson C. Quality matters: Enterprise to McCoy: The future of communications in the ED. Emerg Med News. 2011;33:20-21. Siassakos D, Bristowe K, Hambly H, et al. Team communication with patient actors: findings from a multisite simulation study. Simul Healthc. 2011;6:143-149. Kessler C, Kutka B, Badillo. Consultation in the emergency department: a qualitative analysis and review. J Emerg Med. 2011 May 25 [Epub ahead of print]. Available atwww.sciencedirect.com/science/article/pii/S0736467911003714. Johnson K, Winkelman C. The effect of emergency department crowding on patient outcomes: a literature review. Adv Emerg Nurs J. 2011;33:39-54. Dr. Welch has indicated to Physician’s Weekly that she has or has had no financial interests to report.